Presented by the Tennessee Satsang Society, Inc., A Chartered Affiliate of ECKANKAR. The opinions expressed in this site are those of the writers and not necessarily those of ECKANKAR or the Mahanta, the Living ECK Master, Sri Harold Klemp. Copyright © 2019, ECKANKAR. All rights reserved. The terms ECKANKAR, ECK, EK, MAHANTA, SOUL TRAVEL, and VAIRAGI, among others, are trademarks of ECKANKAR, P.O. Box 2000, Chanhassen, MN 55317-2000 U.S.A. For technical comments regarding this Web site, please contact the Webmaster at webmaster@eck-tenn.org. "The purpose of Eckankar is to make God an everyday reality in your life. As Soul, you have the God-knowledge within you. The teachings of ECK will awaken the knowledge and love for the divine things that are already in your heart." Individuals come to Eckankar for a range of reasons. Among them are gaining or enhancing their spiritual experiences, understanding their dreams, a desire to find truth, experience a closeness to the divine or God, or to understand who they are and their purpose in life. As a teaching, Eckankar provides both individual and group oriented opportunities for expanded realization. For those who wish to interact with other seekers, Eckankar in Tennessee provides the perfect platform with a range of events. There are Sound of Soul Events, Meetup Discussions, and ECK Light and Sound Services that are held in cities around the state. Welcome to Eckankar in Tennessee! 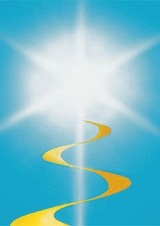 For those who are ready for a new spiritual step, Eckankar offers a membership program designed to allow students to unfold spiritually at their own pace. Click here for more information. People of all faiths are warmly invited to the ECK Light and Sound Services. 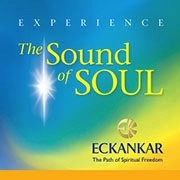 Each service focuses on an aspect of Eckankar. They often feature a reading or video from the ECK works; singing HU, talks, music, and a group discussion of spiritual principles at work in daily life. The service lasts about an hour. Join others seeking to bring more insight and divine love into their lives at this special celebration of the Light and Sound of God. Throughout the ages, followers of many spiritual traditions have used prayer, the singing of holy words, and meditation to bring themselves closer to God. In the same way, those who have discovered HU (pronounced like the word hue), an ancient name for God, sing it for their spiritual upliftment. Sound of Soul Events offer the opportunity to chant HU, engage in spiritual conversation, and enjoy community. Meet others of like heart who share a desire to explore their own connection with God or Divine Spirit. Eckankar in Tennessee sponsors several Meetup groups around the state. They are all about open hearted sharing of spiritual experiences with people from all religious backgrounds and all walks of life. You will learn valuable tools to enhance your current path and spiritual exercises to explore your inner worlds. All are welcome.